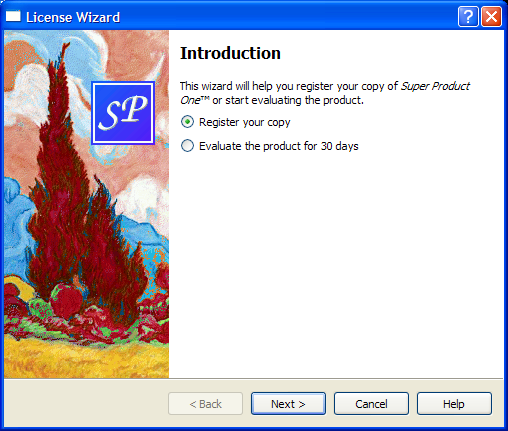 The License Wizard example shows how to implement complex wizards in Qt. In showHelp(), we display help texts that are appropiate for the current page. If the user clicks Help twice for the same page, we say, "Sorry, I already gave what help I could. Maybe you should try asking a human?" 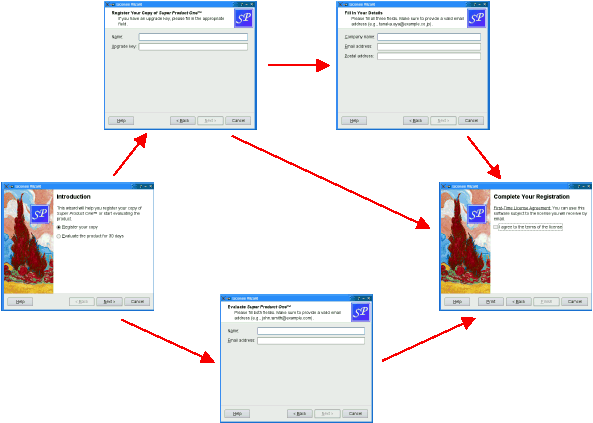 Then we create the child widgets, create wizard fields associated with them, and put them into layouts. The fields are created with an asterisk (*) next to their name. This makes them mandatory fields, that is, fields that must be filled before the user can press the Next button (Continue on Mac OS X). The fields' values can be accessed from any other page using QWizardPage::field().